Optometrist in Vancouver | See for Life- Dr. Mini Randhawa, developmental, childrens' optometrist: Can astigmatism ever be beneficial? "Astigmatism means your eye has two focal points instead of one. This can have some perks in certain circumstances. The one big caveat is how much astigmatism are we talking about? More than 1.00 unit the benefits are very limited. 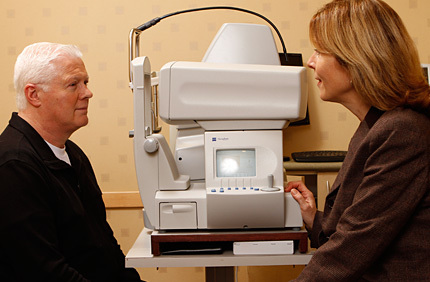 There are two main patient groups that can use small amouts of astigmatism to their advantage. The far-sighted or hyperopic patient, and early presbyopes (early forties age group). For both of these folks the depth of focus is extended by astigmatism, reducing the need for glasses. Your age and pupil size will also play a role. It is the most common refractive error, but you are right, for some folks a little astigmatism is not a bad thing. I like your 'glass half full' attitude."